Hélio Oiticica with “P8 Parangolé Cape 5, Homage to Mangueira (P8 Parangolé capa 5, Homenagem à Mangueira),” 1965, at the Whitechapel Gallery, London, 1969. César and Claudio Oiticica Collection, Rio de Janeiro. A Brazilian artist who confounded the art world with his revolutionary energy is finally getting his due at the Art Institute of Chicago, which currently hosts the artist’s first American retrospective. Born in Rio, Hélio Oiticica’s anarchic socio-political ideals refused all stripes of repression and criticized the staid influence of Western art in mainstream Brazilian society. Beginning in the early 1950s as junior participant in Grupo Frente, Rio’s neo-concrete art movement, he quickly emerged as an effervescent rebel who created his Bólides, Penetráveis, Núcleos and Parangolés participatory works, and had a seminal role in the development of the Brazilian Tropicália movement, which eschewed both Brazil’s conservatism of the right and its nationalism of the left. Between 1970 and 1978, Oiticica lived in New York, exhibiting at the Museum of Modern Art and receiving a Guggenheim Fellowship, before finally returning to a Brazil still under martial law. Two years later, a massive stroke took him at the young age of forty-two. Heaping tragedy upon loss, many of his original works as well as his meticulously documented concepts and projects were destroyed in a massive fire at the home of his brother, César Oiticica, in 2009. “Hélio Oiticica: To Organize Delirium” began at the Carnegie Museum of Art in Pittsburgh and will travel to the Whitney Museum of American Art, New York, over the summer. The show’s title evokes a phrase by British curator and critic Guy Brett, whose awe of Hélio’s advanced commingling of art and life led him to organize Oiticica’s first international exhibit at London’s Whitechapel Gallery in 1969. 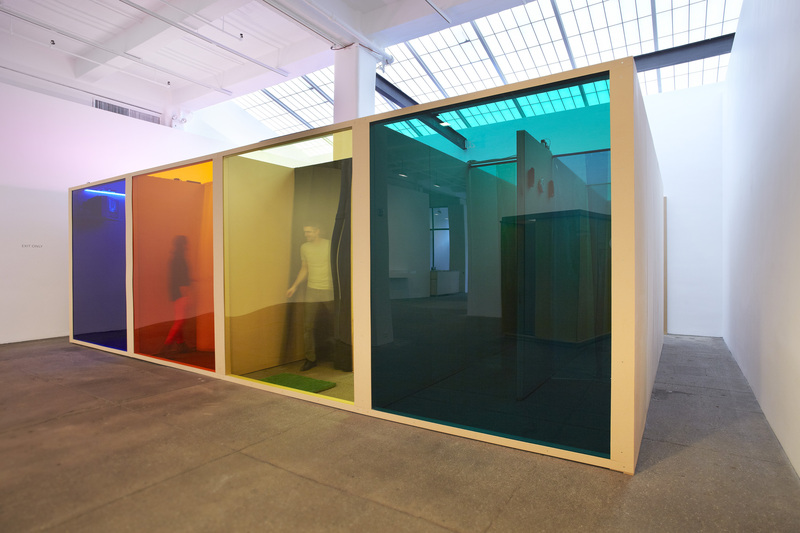 With the rising interest in Oiticica and his legacy, São Paulo’s Galeria Nara Roesler exhibited “Barracão: Hélio Oiticica,” in conjunction with the American retrospective’s Pittsburgh debut in late 2016. At the São Paulo opening, several of Oiticica’s friends and collaborators spoke, including avant-garde filmmaker and artist Neville D’Almeida, American artist and musician Lee Jaffe, Cesar Oiticica Filho, Hélio’s nephew and curator of his work since 1997, and art historian Paula Braga. Newcity interviewed all four about the legacy of Oiticica’s work. Cesar Oiticica Filho, the nephew of Hélio Oiticica, has curated his oeuvre since 1997 as head of the Projeto Hélio Oiticica. What concepts come to mind when you consider Hélio Oiticica’s revolutionary approach to art? So many, but I regard as particularly significant in this day and age the concept he named “Delirium Ambulatorium,” which is taking a random walk through a city to gather experiences and then transforming them into works. Can you contextualize Oiticica’s Barracão concept? It’s an anarchic collective Hélio implemented with works done with several artists from different medias and fields all tied to a unique proposition, which is to create open shared works that are completed by other artists. Hélio Oiticica, “Filter Project––For Vergara (Projeto filtro––Para Vergara,” 1972, at Galerie Lelong, New York, 2012. Courtesy of César and Claudio Oiticica, Rio de Janeiro, and Galerie Lelong, New York. Art historian Paula Braga specializes in Hélio Oiticica’s work and is the author of several books on the artist. What were the driving forces behind Hélio Oiticica’s practice? There are several concepts driving his work, but if I’d have to choose one it is Invention. Invention is what is new that remains new as time passes by. Nietzsche was an inventor, the Rolling Stones, Duchamp, writers Shakespeare and Brazilian Oswald de Andrade were inventors. In a 1979 interview, Hélio said, “normal people become artists; I became an instigator of states of invention.” His oeuvre is plural and inclusive because he works with concepts of invention created by inventors in different times and cultures. What is the role of the viewer in Oiticica’s work? In the 1960s, the observant, distant viewer is transformed by Hélio into an active participant free to turn himself into an inventor by reconditioning and thus recreating himself. In his concept, the shackled, traditional spectator is allowed to reinvent his own existence, freeing himself from a pre-fabricated life imposed by the cultural industry and other forces of power. Can you tell us about the Parangolés, perhaps Oiticica’s best-known work? It all began in 1964, when Hélio visited the community of the Samba School of Mangueira, in Rio’s favela, and saw with his own eyes that the collective creation in the school grounds (barracão) was an explosion of pure vital force. The Parangolés are special reliefs over the dancer’s body. It’s a work that needs a physical body in movement in a place where it can expand. How would you sum up Hélio Oiticica? Hélio gave Brazilian art a radical upsurge, as English art critic Guy Brett used to say, by combining the making of art with a social, political and ethical debate. He planted art in daily life. Through Hélio, daily life itself becomes art. He imploded the stale notion that art is an object of contemplation by introducing the concept that art is a beacon of life. Neville D’Almeida is a filmmaker, artist, collaborator and friend of Hélio Oiticica. Tell us about your friendship and work with Hélio Oiticica. The association of Art-Cinema and Cinema-Art by Hélio Oiticica and I had as core proposal, “To Do What Had Never Been Done Before.” The concept was “Programa in Progress.” We created the first audiovisual, interactive, sensorial installation in the history of contemporary art with photos, slide projection, soundtrack and lounge music. It was so ahead of its time that it took twenty-five years to be shown. Another of our revolutionary concepts was to invite other artists to join us in works, rounding up the concept “Programa in Progress” with their participation. It’s important to understand that Hélio and I didn’t collaborate with one another, what happened was something much more profound. It was the fruit of long hours of conversation during two years and in the end, Hélio and I invented the concept together as one. Our partnership was based on total freedom and deep identification with one another, one of those rare encounters in the history of art in any time. Together we created over two hundred works from installations, photos, books, posters, boxes, performances. There are still some works to produce, since Hélio had the habit to put in writing all the projects in the smallest details in his numerous paper notebooks. 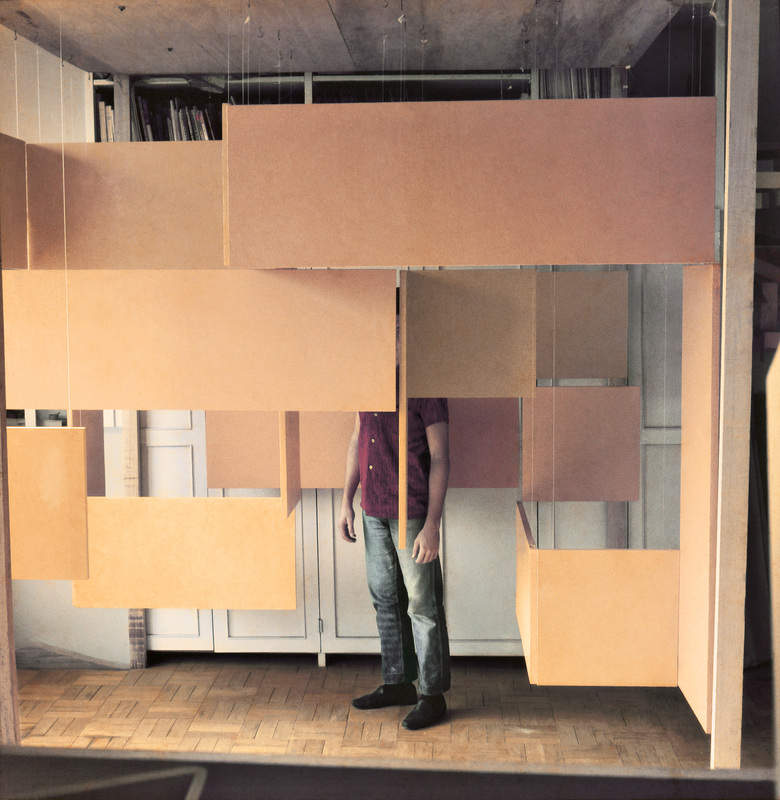 Hélio Oiticica, “NC6 Medium Nucleus 3 (NC6 Núcleo médio 3),” 1961–63, at Rua Engenheiro Alfredo Duarte, Rio de Janeiro, n.d. César and Claudio Oiticica Collection, Rio de Janeiro. 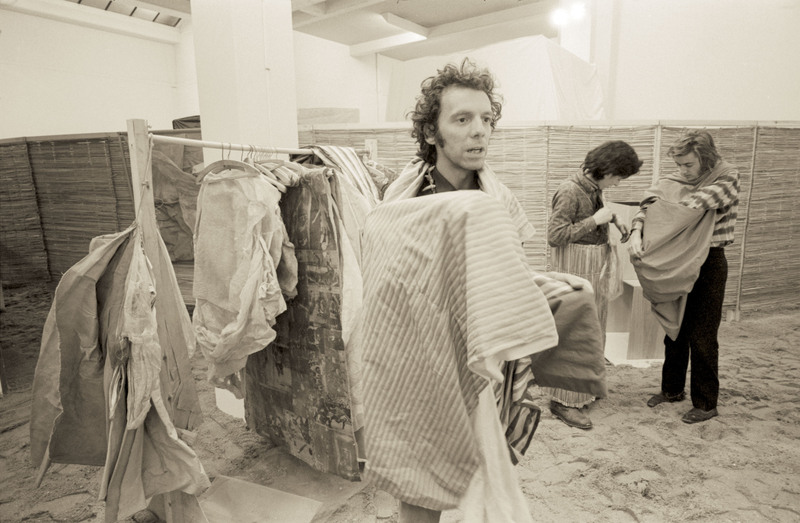 Lee Jaffe is an American artist, musician and collaborator and friend of Hélio Oiticica. How did you meet Hélio Oiticica? What was he like? I lived in Rio during 1969 and 1970. Before that, I had dropped out of college in New York and started a band. When our band’s equipment was stolen before our first-ever gig, a friend of mine who had just returned to New York from Brazil told me that he had discovered that you could sell LSD to the surfers at the Rio beach at Arpoador for fifty dollars a trip. At that time in New York, you could buy one trip for twenty-five cents! I scraped together $250 and bought one thousand trips and bought the cheapest airline ticket I could find. It took me twenty-three hours to get from New York to Rio with stops and change of planes in Miami, Guayaquil and Lima. I had just enough money for a taxi to Copacabana Palace and a phone number for one of the surfers. Word spread and I was quickly very popular. Hélio appeared—a wispy mercurial presence with piercing eyes—speaking English with a deliciously lilting Carioca accent. We tripped and walked the beach with heightened awareness of the singing of the ocean and the clouds laughing phantasmagoric weaving around the surrounding mountaintops. Hélio’s spacious house on a hill above Jardim Botânico looked down to a spectacular view of the ocean and stood at the base of the rigidly steep mountain atop of which Christ the Redeemer—arms outstretched—towered exaltedly above. Hélio’s house was the epicenter of the Tropicália movement. His enormous intellect and extraordinary warmth and generosity were a powerful magnet drawing brilliant musicians, poets, artists and filmmakers who passed through daily, all bonded by a desire and courageousness to create works that would be both aesthetically compelling and politically transgressive. It was a time when the Vietnam War was raging—assassinations of activists Fred Hampton and Bobby Hutton and Malcolm X, Reverend Martin Luther King and Robert Kennedy reverberated in Brazil as the CIA-backed military junta was viciously cracking down on leftist academics and artists and the threat of arrest and torture was palpable. Gilberto Gil and Caetano Veloso had been imprisoned and then forced into exile, proving that the Tropicália and Cinema Marginal movements were in imminent danger. How does Oiticica’s work remain relevant today? When I first came to be acquainted with Hélio’s art I was shocked to find out that what I thought was my thorough understanding of twentieth-century “Western art” was both naïve at best and at worst shockingly parallel to a consciousness of “American” imperialist attitudes of objectification. I was not prepared to find out that Minimal Art and its break in the 1960s from European tradition had in its own way been carried on a decade earlier by Hélio and other Brazilian painters. Furthermore, Hélio had not only taken Painting out of the frame as early as the 1950s but had liberated it from the wall, ostensibly obliterating the distinction between painting and sculpture. It was a real eye opener when Hélio made me aware of the Concrete movement in Brazil, something that was immediately obvious to me as being more advanced than anything I had previously known. It was Hélio’s and my shared interests in breaking down distinctions and categorizations—cultural, geopolitical and aesthetic—and our interests in music, performance and poetry that led to our proposal for the “Information” show at MoMA in New York in 1970. Our intent was to transport a fragment of the Amazon as a “suprasensorial” experience to Midtown Manhattan, to the cultural belly of the beast.